The reduction comes as global oil prices continue to plummet, with Brent crude falling from $110 per barrel in June 2014 to $48 in January 2015. 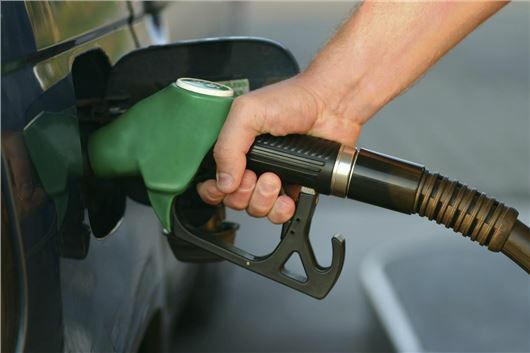 As a result, petrol and diesel prices have been reduced by as much as 23p-per-litre, since September, with further cuts expected as overproduction of oil and gas in the USA and Middle East continue. In a publicity push, one midlands' retailer has grabbed the headlines by offering petrol at 99p-per-litre, which marks the first sub-£1 pump price for six years; however, experts cast doubt on the longevity of the offer, with high taxation making it difficult to make a profit at such prices. "Harvest Energy's 99p per litre is the lowest we’re aware of and it is hard to see how they can be making a profit as the cost of wholesale fuel needs to come down at the same time," said Simon Williams of the RAC. "What's more, we are now getting to a point where the share that the Treasury takes from the forecourt price is nearing 75%, which is a bitter pill for motorists and retailers."